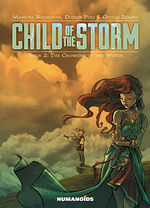 Orphaned by lightning. Possessor of an unimaginable strength. Destined for legendary feats. 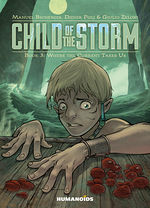 He is the Child of the Storm. Fear the tempest. 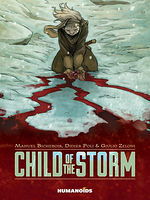 Adopted by a woodsman clan, the orphan Laith possesses miraculous and terrifying powers linked to the weather. When his path crosses with the sinister Professor Finrhas, and the power-hungry Minister Alghard, Laith’s world is turned upside down. 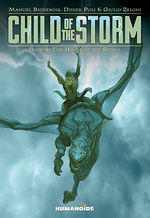 The young boy is forced to go in search of his origins, to better to control his immense power, and to save his foster family and friends. This award-winning debut graphic novel by Manuel Bichebois, Didier Poli ("Elric: The Ruby Throne"), and Giulio Zeloni is a fantasy/steampunk adventure packed with political intrigue, where science and magic collide. 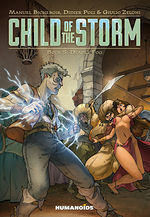 Child of the Storm subverts typical fantasy clichés.